Get ready for the Halloween Hop! Halloween is just around the corner, and I am having a Halloween Hop to celebrate! What is a Halloween Hop? 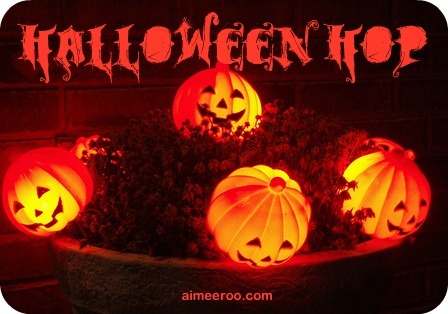 It is my name for a Halloween themed blog hop, featuring ideas for Halloween decorating, crafting and cooking. Everyone is welcome to take part and you can link up to 3 of your Halloween idea posts. The purpose of a blog hop is to find inspiration, visit fun new blogs, and of course, get ready for Halloween! The Halloween Hop will take place on Saturday October 1, 2011! Get your ideas ready! You may link to new posts, or favorites from your archives. As long as it is something fun to do with Halloween (like a great recipe idea, or fun craft for the home, or your awesome Halloween decor)! Come back on October 1 for the linky and to add your posts to the blog hop.